Centralised fleet management agreements can achieve significant economies of scale, ALD Automotive’s Thierry Faure tells Curtis Hutchinson. Companies operating across international borders are continually looking to achieve the best possible economies of scale through centralised management. This approach can range from the travel and accommodation for business trips to the procurement of goods and materials, to IT systems. Savings achieved in such areas can go straight to the bottom line, allowing more funds for investment and growth. One of the biggest opportunities for cost savings can be achieved in fleet operations with centralised procurement, helping large companies to offer consistent policies to staff across international operations and better monitoring and control of their carbon footprint. Fleet management companies with international client bases are ideally positioned to consolidate local services such as maintenance and repair networks and tyre purchases, translating into tangible total cost of ownership (TCO) savings for clients. The scale of the bigger fleet management providers also enables clients to benefit from their experience of alternative powertrain strategies, driver safety programmes, and responsible global sourcing. However, agreeing a centralised fleet management strategy in the boardroom is one thing, implementing it on a global basis is another. There are many variables to consider including local taxation and regulatory considerations and the inevitable internal politics. ALD Automotive is one of a handful of fleet management suppliers positioned to offer truly global solutions as it manages over 1.5 million vehicles across 43 countries. 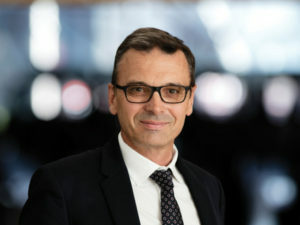 Thierry Faure, head of sales for international key accounts, believes centralising can be beneficial for businesses operating across the globe but concedes it can present challenges and requires a degree of buy-in from local management and staff. An understanding of local taxation is also important and can represent a challenge across different regions. ALD provides ­consultancy services on a global scale to help clients select the best TCO models for each country. Important considerations here are the local tax treatment of vehicles, employee Benefit-in-Kind and fuel prices. “Most advanced international leasing companies do provide comprehensive tax information in their TCO analyses by country, but the historical perception of some companies is that it is better to leave such analyses in local hands,” says Faure. As a result, business units in one country can benefit from the experiences of those in other regions and that’s good for corporate governance. “We see clients in more mature markets pushing for transparency both in terms of pricing and data,” he explains. “To facilitate this, we provide total neutral consultancy which allows clients to plug in their expectations and fleet size to determine if a sole supplier for their fleet needs is a more cost-effective option. One of the most challenging aspects of centralised fleet management is how best to approach funding to take advantage of the most cost-effective and tax-efficient forms of financing from country to country. For Faure, the key here is the transparency afforded by a sole supplier. “It is important to have access to transparent interest rates in countries. By using a reliable international supplier, clients benefit from the commercial spread that will be identical globally and applied to the local cost of funding. Clients thus benefit from competitive and transparent leasing costs in the local market. Local providers may not be able to provide this transparency,” he says. The scale of the bigger fleet management companies also means they are well-established players in local markets and that is an important aspect of any bigger centralised deal, reckons Faure. “Local knowledge is required to contract with the right suppliers to ensure that clients benefit from the best services possible. You need to control them, build a relationship with them, know that your clients are getting the best customer service. Economies of scale: this can be achieved on a regional basis by leveraging scale through the procurement process with OEMs and suppliers. The larger a client’s presence in the market, the higher the savings opportunity on procurement. Consistency: centralising fleet management provides product and service consistency and streamlined operations across multiple markets, wherever appropriate. Consolidated monitoring and reporting: clients benefit from standardised reporting through a common system. This is particularly useful for monitoring fuel consumption, CO2 emissions, mileages and contract durations across a global fleet. Quality local operations: businesses need to know their providers are capable of not only managing their fleets internationally but are also in tune with local requirements.